Welcome to Sunday Lunch at the Beeches, we always have three roasts and a vegetarian roast available with all the trimmings as well as the normal menu. The kitchen team start at 9 in the morning preparing the roast meats, potatoes and Yorkies. 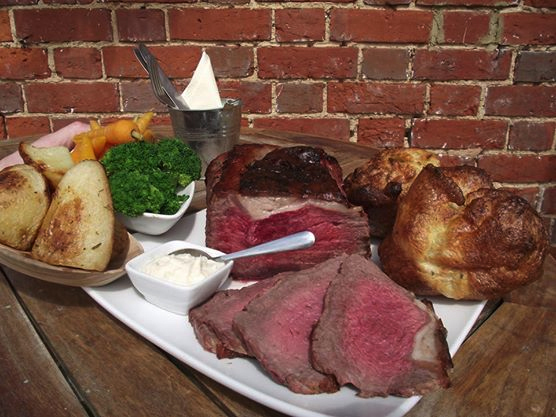 We also offer a roast meat platter where you can enjoy all the roasts on one plate! If you are booking a table of ten more please call us and we can arrange a set menu to help budgeting for the day.